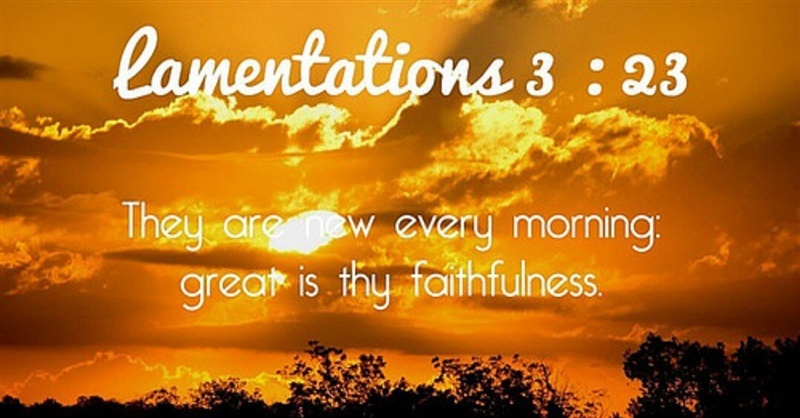 Great is my faithfulness to you, says the LORD. I renew it daily. Great is My abiding love to you. For this will satisfy the longing of your soul. I AM the ONE who loves you without fail. My love for you is unconditional and selfless. I pursue you. I love you with an everlasting love that cannot and will not fail you, abuse you, abandon you or forsake you. I have you in the palm of My hand, and I watch over you continually. Trust that I will lead and guide you and show you what to do. It is within you, for My voice, My still small voice is within. Do not let the things you see and hear and feel become your focus. Trust in MY VOICE that has led you all the days of your life. I Am speaking and leading. You will have eyes to see as you turn aside and look at Me and away from the circumstances vying for your attention, says the LORD. I will give you an ear to hear what I Am speaking as you shut off the voices around you and squelch out the opinions of others, says the LORD. I Am your true counselor and I will guide you as you LISTEN. You are already hearing. Do not doubt that what I have revealed to you is TRUE, for I Am the Way, the truth and the LIFE, and what I say counts! Do not let your feelings motivate you. You cannot let the circumstances dictate. I will show you and you will see if you will open your eyes. Open your ears to hear. Do not pursue your own will. As you seek MINE, it will become clear. For I will not deny you any good thing and the gifts I give are not going to harm you, abuse you, misuse you, confuse you or destroy you. They will not be taken away from you. BE STILL and know that I Am GOD in the midst of you and will not deny you any good thing. YOU ALREADY see and hear. Now focus and respond to what I am showing you and telling you, and you will have an answer of peace if you pursue the direction that I have already given you, says the LORD. Amen! I trust You Lord, my Provider! Love this message … It worms my heart !! AMEN! Thank You Lord for delivering this message to me. Am really blessed. God’s Glory be done. I am really depending on Your faithfulness with my finances right now, Lord! As I do not have a full time job and am the provider for my household! I put my life in Your hands, trusting that You will restore 7 fold all that was stolen from me through fraud. Thank you brethren for your invitation, as you know we a living in the last hour to see the holy prophecies fulfillment, so it’s an honour for me, to learn from you. I received , believed it! Amen! !! !